'Utopia' saw award-winning filmmaker and artist Penny Woolcock team up with Block 9, the designers responsible for Glastonbury’s after-hours fantasy worlds, to create an awe-inspiring installation that turned the space into a distopian city filled with crashed cars, a looted bookshop, a street turned to rubble and an endless factory of empty boxes. In 2015 the Roundhouse teamed up with the Royal Opera to produce a new production of Monteverdi’s early opera L’Orfeo. A rare opportunity to see an opera at the Roundhouse, the production was brought to life by a stark yet magnificently atmospheric set by award-winning theatre designer Tom Piper, that was surrounded by the audience and saw a platform ascending from the stage into the circle, transporting the characters from the underworld up into heaven. The Roundhouse has been filled with some truly spectacular circus shows over the years, starting with the groundbreaking 'Fuerzabruta', which marked our reopening back in 2006. 'Fuerzabruta' became the fastest-selling show in Roundhouse history and returned in 2012 and 2013. In 2013, No Fit State presented 'Bianco', an immersive promenade experience that took place above, behind and all around a standing audience. With a constantly evolving narrative set to a pounding soundtrack performed by a live band, it was an all-consuming theatrical event! In 2009, David Byrne’s wonderfully interactive installation 'Playing The Building' allowed the audience to do exactly what it said on the tin! A customised pump organ in the centre of the space controlled a series of motors and compressors that allowed visitors to literally “play” our wonderful Victorian architecture. It was beautiful, ingenious and brilliant fun. Multi award-winning choreographer and dancer Akram Khan MBE presented the world premiere of 'Until the Lions' in 2016, based on Karthika Naïr’s book 'Until the Lions: Echoes from the Mahabharata'. This original reworking combined the Indian classical dance form kathak with contemporary dance, exploring themes of gender and sexuality, and the changes that time forces on the body. The performance was critically acclaimed and received 4 stars from Time Out, Guardian, The Telegraph, Times and The Stage. Internationally renowned artist, architect and designer, Ron Arad brought his incredible 360˚ installation 'Curtain Call' to the Roundhouse in 2011 and again in 2016 as part of our 50th anniversary celebrations. The epic floor-to-ceiling artwork was made of 5,600 silicon rods suspended from an 18 metre diameter ring and provided a canvas for films, live performance and audience interaction. In 2013 The Last Word Festival launched, showcasing the best in spoken word, storytelling and live performance featuring established names and brand new commissions created by some of the best emerging talent. John Berkavitch brought his latest spoken-word-dance theatre creation 'Wrong' to the Roundhouse in 2016, focusing on the theme of fatherhood. His highly inventive performance featured a group of dancers and illustrators that physically manipulated, interrogated and annotated the space, enabling Berkavitch to tell a story about having, becoming and being a dad. 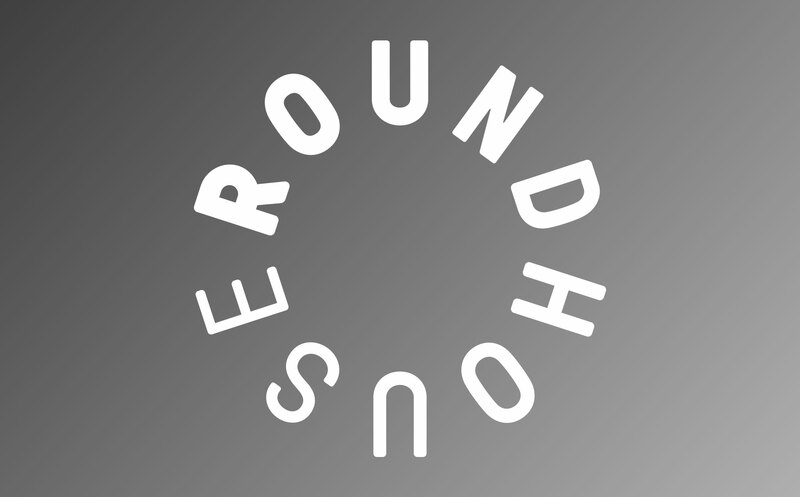 We kicked off 2016 with 'In the Round', a brand new series of intimate performances staged in the round. This rarely seen fully seated concert set-up offered a unique opportunity to see some of the world’s leading artists perform up close within the venue’s iconic architecture. The series saw incredible performances from acclaimed artists including Edwyn Collins, Scritti Politti, Matthew E White, Rokia Traoré, Keaton Henson, John Cale, Marianne Faithful, Camille O'Sullivan, Mulata Astatke and Gaz Coombes. In 2009, we presented our first ever Circusfest and since then we’ve presented major world and UK premieres and supported the next generation of emerging circus talent. In 2014, French acrobats La Meute, translated as 'The Wolf Pack', brought the rarely-seen circus skill of Russian Swing to the Roundhouse. The six performers used a giant swing to propel themselves up to ten metres in the air, trusting their compadres to catch them on their descent!